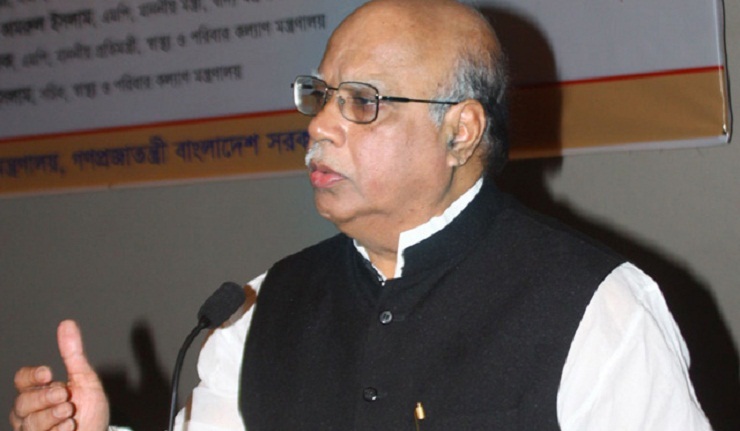 Commerce Minister Tofail Ahmed on Wednesday said the Election Commission (EC) will conduct the next national polls as per the constitution and the incumbent government will do its duties as the election-time government. "The Election Commission will conduct the polls and the present government, as in other democratic countries in the world, will run its activities as the election-time government," the minister said, speaking at a seminar at the VIP Lounge of Jatiya Press Club (JPC). Sector Commanders Forum (SCF) organized the seminar to celebrate the UNESCO reorganization of Father of the Nation Bangabandhu's March 7 speech as a world documentary heritage. National Human Rights Commission (NHRC) Chairman Kazi Riazul Haque, Polli Karma-Sohayak Foundation Chairman Dr Kazi Khaliquzzaman, SCF Vice President Engineer Mobasher Hossain, JPC President Muhammad Shafiqur Rahman, SCF Joint Secretary Generals Professor Abul Kalam Azad and Farzana Shanaz Munir and Swadhin Bangla Beter Kendro Artist Bulbul Moholanabish, among others, addressed the meeting with SCF Vice President and former Additional Inspector General of Police Nur-e-Alam in the chair. Tofail, also a member of Awami League Advisory Council, said BNP Chairperson Begum Khaleda Zia declared that they would topple the government, but they failed. "They did everything to foil the 10th parliamentary election in 2014 and to topple the government in 2015," he added. He said the countrymen will not give you the scope to destroy the country any more. The commerce minister said the country is going ahead economically under the leadership of Bangabandhu's daughter and Prime Minister Sheikh Hasina.